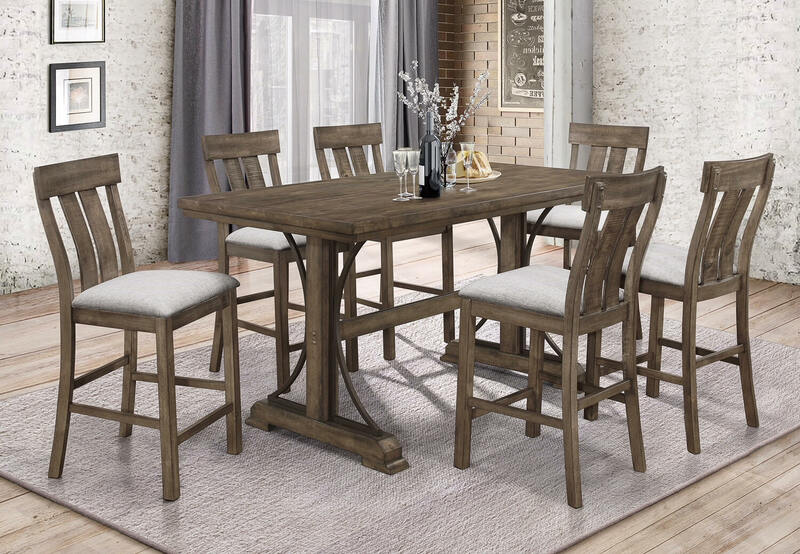 The Quincy Counter Height Rustic Dining Set features a a rustic brown wood finish, chairs upholstered with a cream fabric seat. 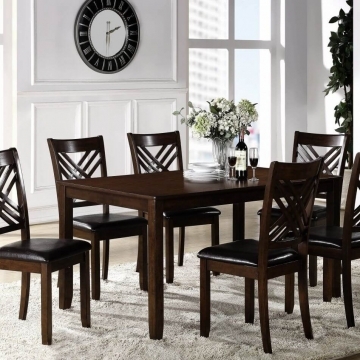 Dining table features rustic finish on top while it has metal industrial accents on base. 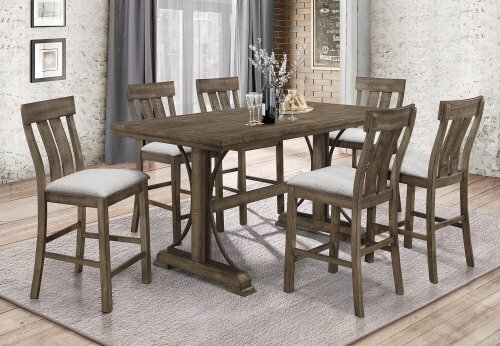 This set combines rustic with industrial and lends to a warm dining look sure to compliment any home decor. 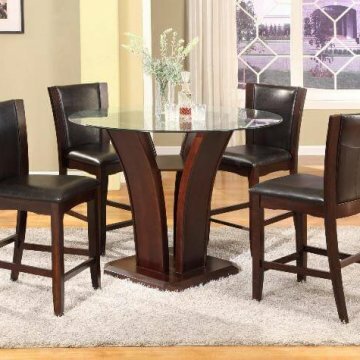 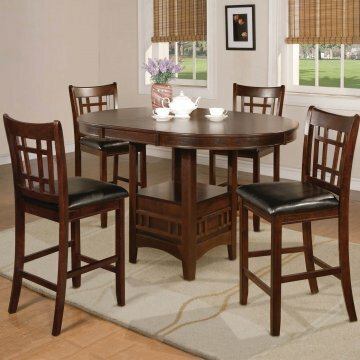 Set Includes: Counter Height Dining Table, 4 Counter Height Chairs.